Ontario is in the midst of rolling out AODA, a set of guidelines to make Ontario more accessible for people with disabilities. Websites will soon be judged on whether or not they adhere to the Web Content Accessibility Guidelines, AA compliance (except for live audio and video). The timeline for when compliance is required can be found on Ontario’s AODA page. Reaching WCAG guidelines helps open up your website to a wider variety of potential prospects, and earns goodwill among clients. Many principles of content accessibility are good SEO, smart design, or both. Even if compliance isn’t mandatory (which it is for all public companies and all private companies over 50 employees), WCAG are often simply good design. Low or no vision accommodations make up a large percentage of WCAG guidelines; this includes making sure all links are comprehensible out of context, there are proper code markers in place for screen readers to know there is text to read, and all information available in graphics is also available within text. This is one of the most comprehensive places to start, and one that shows the most immediate benefit. Making graphic information available in text also helps your SEO by giving either alt text (for simple images) or search engines a better idea of what is displayed on your webpage (which helps determine its relevancy). If you have audio or video content pre-recorded on your site, transcripts and descriptions need to be available for those. Building a site map is also advised, for how it helps people navigate and find the page they’re looking for more quickly. If people have to make choices on your site, make sure colour is not the only differentiating factor. Any PDFs you have available on your site should also be checked. 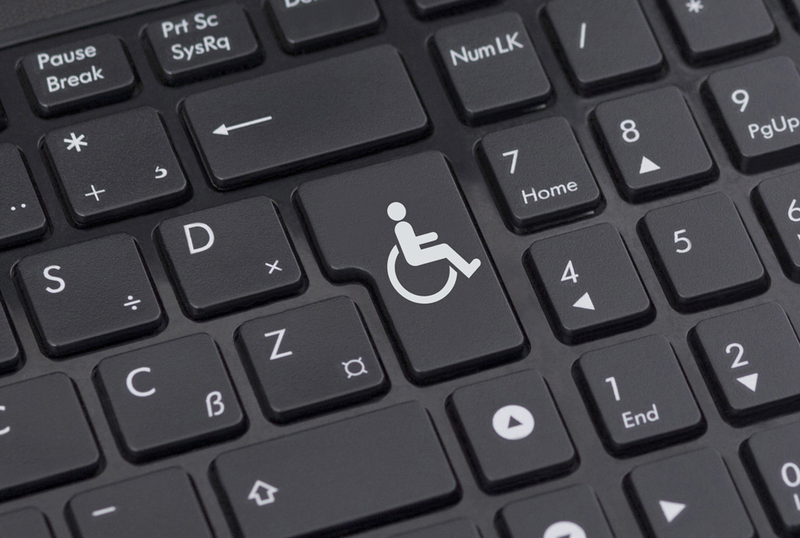 If you have Adobe Acrobat Pro, you can use tools within the suite to determine if they’re accessible. Make sure all buttons have a programmed purpose, so a screen reader can say what button to press. Reaching WCAG guidelines is both an initial investment and a continuing one. If you refresh content on the site frequently, then any and all new content must also be compliant. This includes new graphics, PDFs, pages, and audio/video. Determine how often you should review your content based on the frequency you update the website, and allocate time to run a small scale audit for accessibility.